May we all continue to learn and grow from the connection with our loving animal companions. 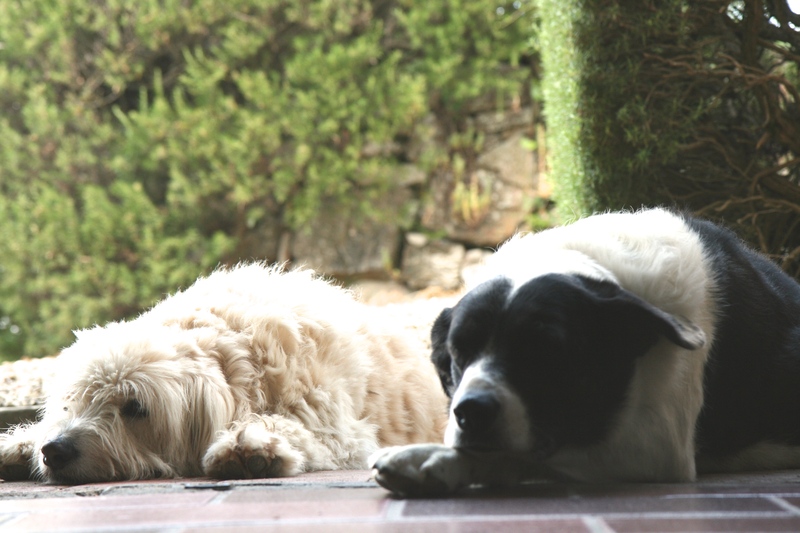 Charlie and Lola aren’t ours, but they adopt us when we vacation in Italy every year. You appearing with a lead? A slice of Pizza Margherita? No lead required …. but you are right on both counts Hariod! Maybe they aren’t “waiting” for anything . . . they just are. Thanks for a mindful post! Thank Lorrie! Happy it resonates. We all need to go “woof woof” now and then ha. Great quote. Thanks Val. Yes to everything you said Diana! They are simply just being themselves. We can learn so much just by watching our pets, they are amazing! “Why don’t you go nudge her,” says Lola.